Today I’m delighted to feature an interview with multi-talented author Laurence MacNaughton. I’ve known Laurence since I worked with him through Nelson Literary Agency, and it’s been such a thrill to follow his success. He’s here with some excellent advice about making a living as a full-time writer, how to make the most of a hybrid writing career, and how to combat writer’s block. AM: Thanks for being here, Laurence. You have built a full-time career around writing, as a novelist and a copywriter. That is WAY cool! What does a copywriter do, exactly? Do you find that these two different kinds of writing complement each other? There have been innumerable examples of copywriters who also successfully wrote fiction. James Patterson, Salman Rushdie, Joseph Heller, and Dorothy Sayers, to name a few. Writing copy requires quite a bit of discipline, research, and the willingness to develop specific skills. It will absolutely improve anyone’s storytelling abilities. It will make your writing punchier, better researched and more emotionally resonant. It may sound counter-intuitive, but it’s true. 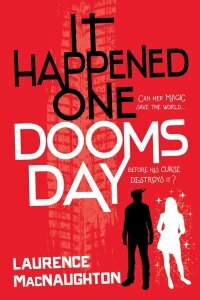 Your first traditionally published novel, IT HAPPENED ONE DOOMSDAY, came out in July from Prometheus Books. Could you tell us a little about your journey to publication? 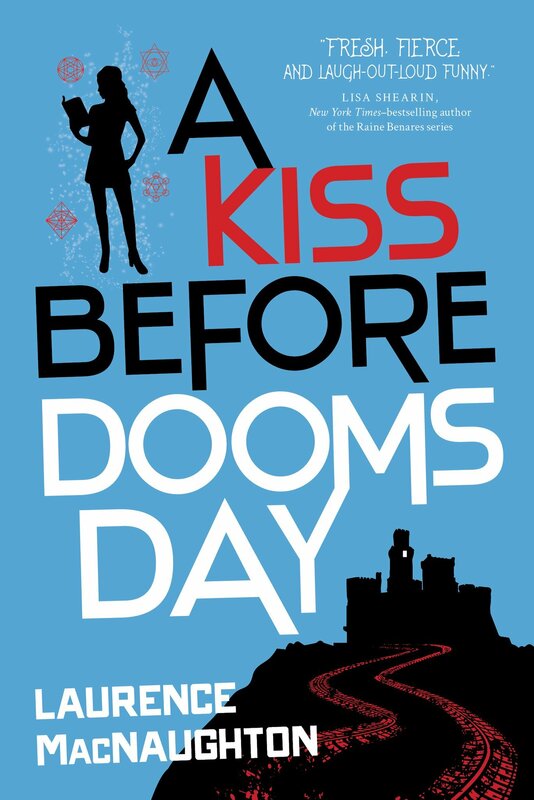 Believe it or not, IT HAPPENED ONE DOOMSDAY started out as a short story. I was struggling with another novel, so I switched gears and wrote a fun little story about this awkward wannabe sorceress who ends up breaking the evil curse on a bad-boy hero with a muscle car. But I really got hooked on writing these characters, so I expanded it into a novella. My critique group was extraordinarily supportive. I kept bringing them new pages of rough draft as I wrote it, and we tossed all sorts of crazy ideas around. She said, “You know what would be really cool?” And she sketched out a completely different ending from the one I had just written. Not just different. It was better, and ultimately it meant expanding the book into a series. So with a sigh, I went back and changed the ending. And at that moment, everything clicked. I had the feeling that I was really onto something. This ended up being the first book I’ve ever written that received offers from multiple publishers. My literary agent, Kristin Nelson, sold it in a multi-book deal. I’ve already written Book 2, A KISS BEFORE DOOMSDAY, which should come out in the summer of 2017, and I have plenty more planned. It’s really exciting. 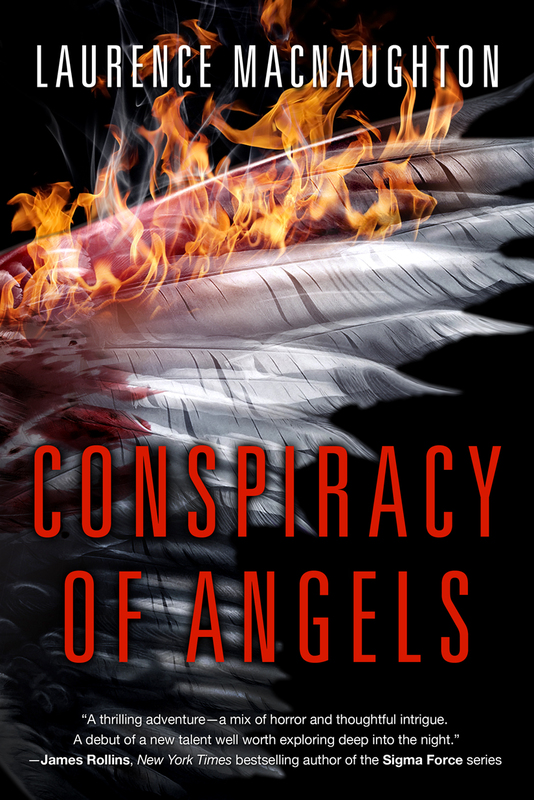 You’re also an indie author with several titles under your belt, including a standalone thriller, CONSPIRACY OF ANGELS, and a four-part series called THE SPIDER THIEF. What are the benefits of being a hybrid author (both traditionally published and self-published)? Are there any drawbacks? There are benefits and drawbacks to both self-publishing and traditional publishing. If you’re a hands-on, DIY type of person with an entrepreneurial mindset, then you might be better suited to self-publishing. If you’d rather focus on the writing and not deal with the rest of it, you might prefer traditional publishing. Self-publishing means doing things your own way. You can hire your own editors and artists. You call the shots. It sounds perfect, but the truth is that it can be grueling. For one thing, it’s difficult to get any attention as a self-published author. When you work with a publisher, the reverse is true. Someone else has control over the process, and you don’t. They might make crucial creative and business decisions without even consulting you. Yet at the same time, a traditional publisher can open doors that would otherwise remain closed. For example, you have the opportunity to get reviews from places like Publishers Weekly, Booklist and Kirkus. I believe that the best approach is to embrace both avenues. Come up with a career strategy that leverages the advantages (and minimizes the drawbacks) of both traditional and self-publishing. It’s not easy, but it can be done. What does your fiction writing process look like? Are you an outliner or a pantser? How many drafts do you typically go through before you send a book out into the world? I always start with the basics first: who are the good guys, what are they trying to do (and especially why), who are the bad guys, and where does this take place? Then I boil all of that down into a strong core idea. For example: a bookish crystal shop owner has to save the world from the Four Horsemen of the Apocalypse – who drive possessed muscle cars. The idea has to work at the core level, it has to really grab me, before I start writing it. Otherwise, what’s the point? Then I figure out how to make the whole book work, beginning to end, in a short synopsis. Maybe one page. That takes time. And even once I have that figured out, I don’t start writing it yet. I go through a process of breaking the entire book down into smaller and smaller chunks, figuring out what works and what doesn’t. There’s always a certain amount of stuff that you have to throw out or change. There are gaps that you need to fill in. After a considerable amount of work, I get to the point where I have a complete list of scenes, and a description of what happens in each scene. Once that’s done, I can start writing the book. But nothing is set in stone. Any of this stuff could change at any time. I’m not a slave to the outline. If I come up with a better idea on the fly, I’ll go with it. I can always change the outline later to smooth things out again. I think of it like a weather forecast: this is what will probably happen. But bring an umbrella, just in case. I don’t think I’ve ever written a book that ended exactly the way I thought it would. And that’s okay. The outline is just a tool that helps you get the book done. I’ll go into all of this in a lot more detail in my upcoming ebook Instant Plot: Plan Your Novel the Easy Way. But I also offer plenty of writing tips for free on my website at www.LaurenceMacNaughton.com. Do you ever get writer’s block? What the heck do you do about it? I’ve certainly had days where I feel like I don’t know what to write, or I worry that everything I write is terrible. But seriously, what most people call “writer’s block” is an insidious combination of those two problems: not knowing what to write, and/or loss of faith in your writing skills. The good news is that both of those problems can be methodically solved. Here’s how. If you don’t know what to write, you need to figure it out. If you’re writing fiction, that means nailing down who your story is really about, what they really want (and why), and what’s in the way. This article can help. If you feel like everything you write is awful, that probably means you’re trying to write something and edit it at the same time. It doesn’t work that way. You need to write it all out first, as fast as you can. Get it all down on paper. And don’t change a thing until after you finish. No matter how bad it is (and it’s probably better than you think), at least it’s done, and you can fix it later. If you can do those two things – figure out what to write, and then write it without stopping – then you’ll never suffer writer’s block. What is your top piece of advice for authors who self-publish? Every self-published writer I’ve ever talked to always wants to achieve more. (Even Hugh Howey.) They all want to reach more readers, sell more books, write better stories, and so on. The question is, how? I believe the secret to improving anything in life is to keep trying new things. And then – this is crucial, this is where most people drop the ball – actually measure your results. Same thing applies to self-published authors. You have a million choices and opportunities headed your way. You can’t embrace them all. Which ones will you take on? That’s pretty broad advice, but it works. Thanks for having me on your website! I’d like to invite everyone to get more free writing tips, advice, members-only bonus materials and more when you subscribe to my author newsletter at www.LaurenceMacNaughton.com. 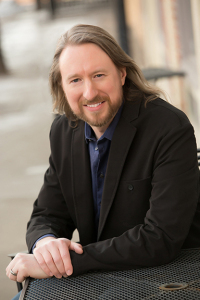 Laurence MacNaughton is the author of It Happened One Doomsday, The Spider Thief, and Conspiracy of Angels. Try his books free at www.LaurenceMacNaughton.com. I so appreciate your post of this Anita. To be a published author is my greatest desire. I have authored six manuscripts, but published zero. I am just so overwhelmed with the process. I like Mr. MacNaughton's advice and will keep it in mind. I know the path is hard, but as I say I want it so bad. Thanks for this.